This is probably my Disneyland. That one time of the year that I can become a kid all over again and play the fool in full view. This is my fourth attendance here in Delhi since it started in 2011 and it has grown so much. 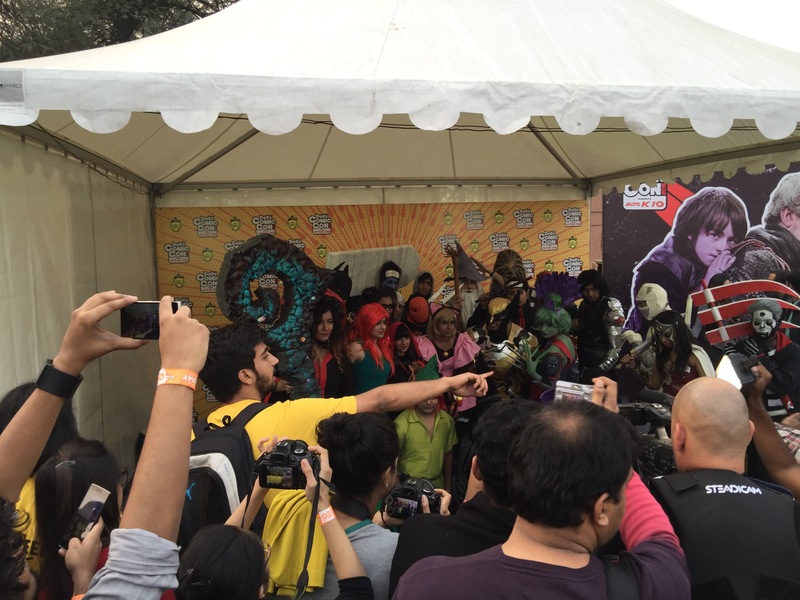 Cosplay is getting much more detailed and the effort youngsters put into their costumes is heartening to watch. Then there are the spoils- random stuff we buy with no regard to the month’s budget. 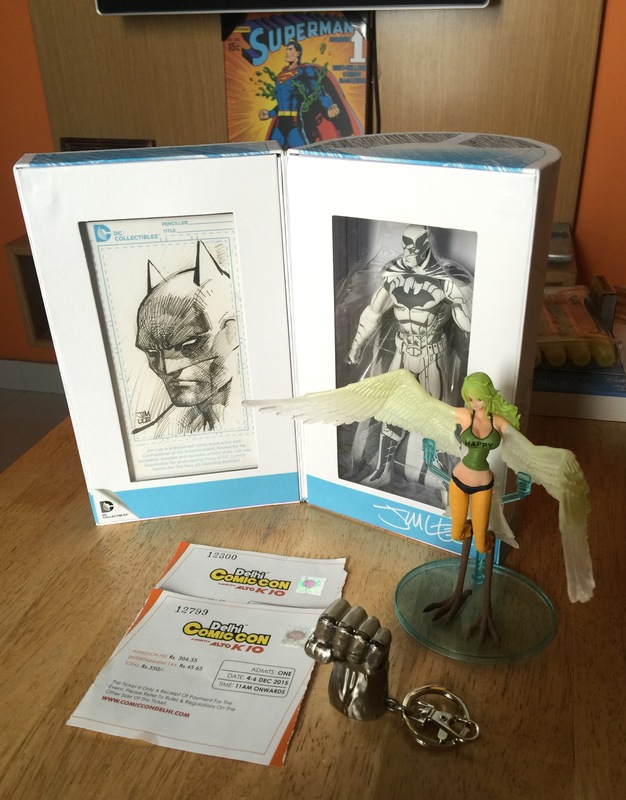 A Jim Lee Batman collectible, 6 tshirts, Avenger flip-flops, a Hulk key ring… It’s amazing how the practical mind completely stops functioning at Comic Con. Looking forward to a bigger event next year. Cosplay is getting serious with more detailing.